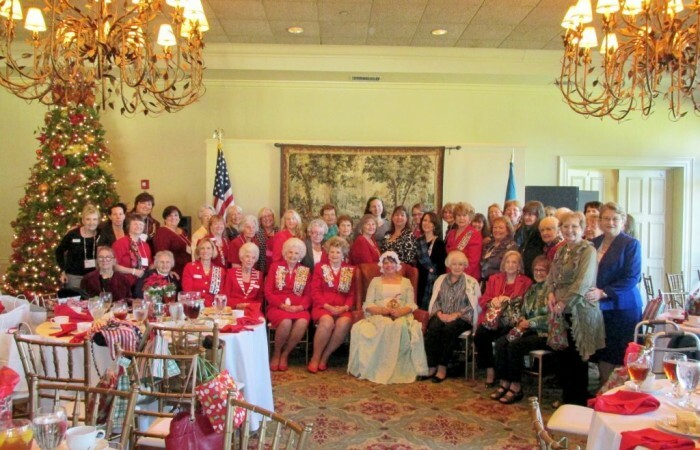 Besides all the hard work our chapter does for our community, our members also work hard to provide programs and fundraising events to ensure that the DAR vision is preserved. Orange County Courthouse Veterans' Memorial Wall Rededication Ceremony, Memorial Day, 2011-- Bill Coleman was a World War II veteran who helped procure Orlando's VA Medical Center. 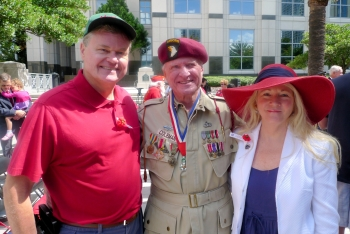 Bill Coleman was a recipient of two Bronze Stars and a Purple Heart. After Mr. Coleman returned to Orlando following World War II, he began his career in public service. Pictured, from left to right, Donald Lykkebak, Bill Coleman and Regent Linda Lykkebak (2014-2016). 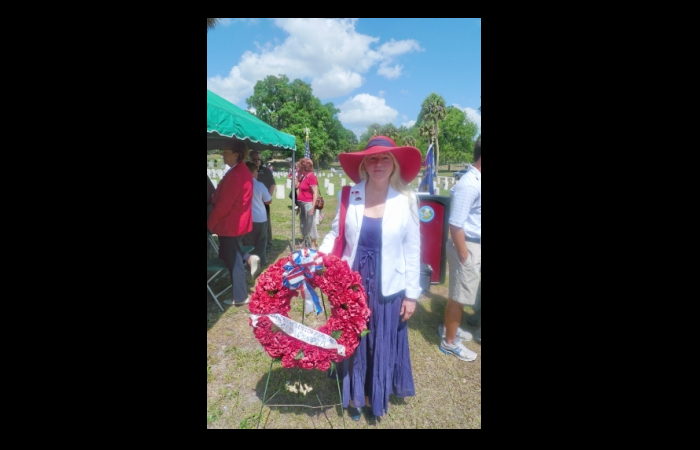 Regent Linda Lykkebak (2014-2016) present at Greenwood Cemetery for a memorial sponsored by American Legion Post #19. 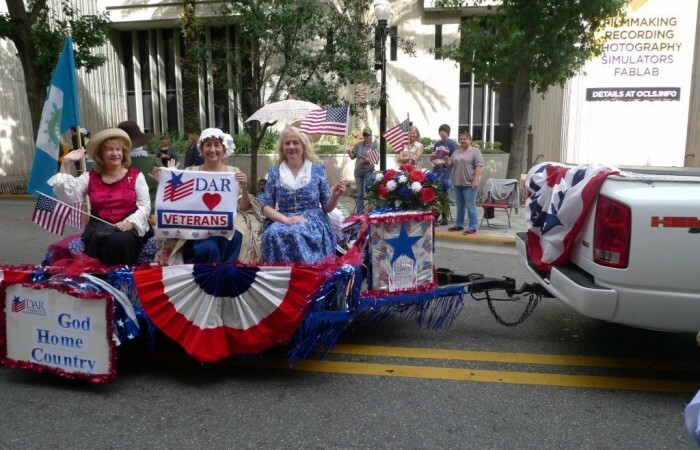 Orlando Chapter entered a float in the Veterans Day Parade, 2014. 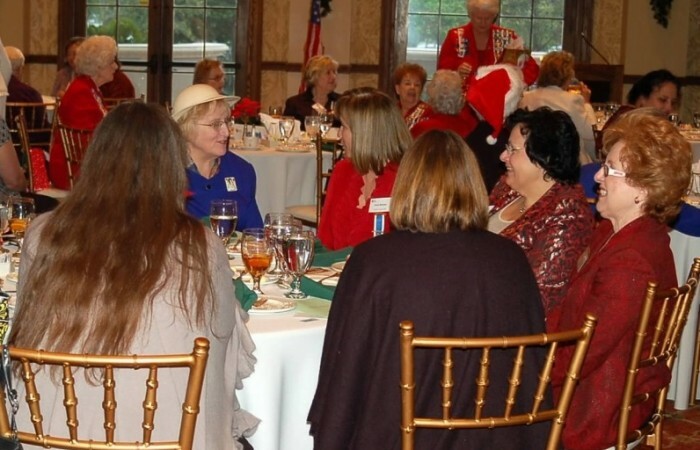 Chapter's annual Christmas and chapter birthday luncheon with a special program on "Women's Life During the American Revolution." 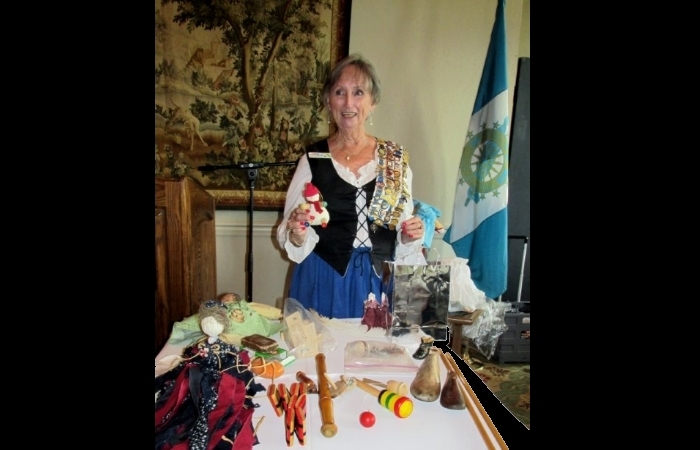 State Regent Ginger Poffenberger (2015-2017) presenting her program "Life in the Colonial Period" to our chapter. 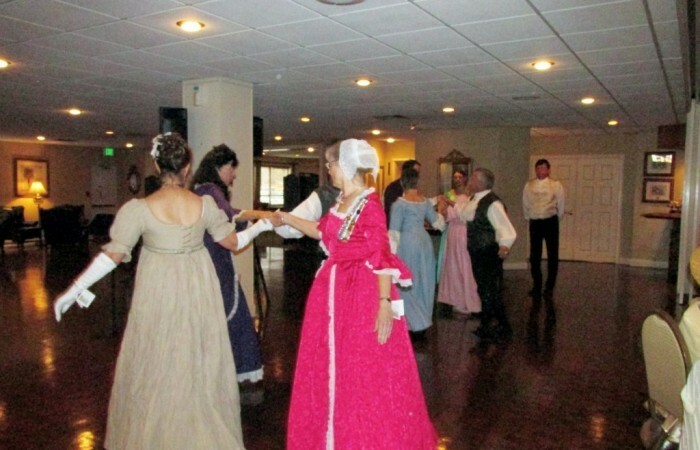 Program "Dancing in the Colonial Era" with a dance demonstration presented to our chapter. 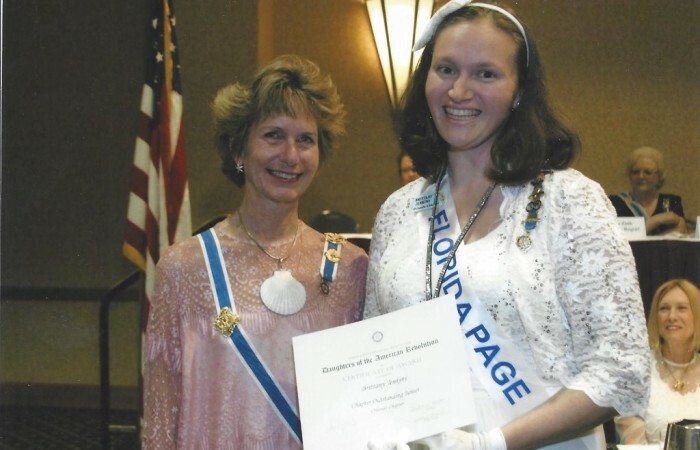 Orlando Chapter page and Junior Member, Brittany J., receiving Orlando Chapter's Outstanding Junior Award. 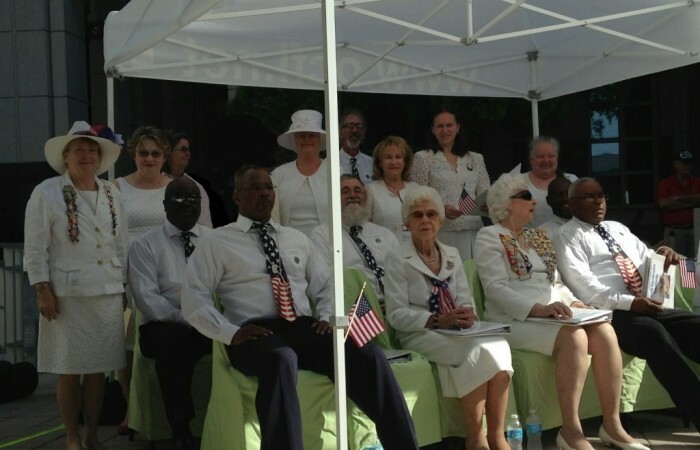 Orlando Chapter members as the DAR All American Singers with the Proud Veterans Chorale at a Memorial Day event in downtown Orlando. 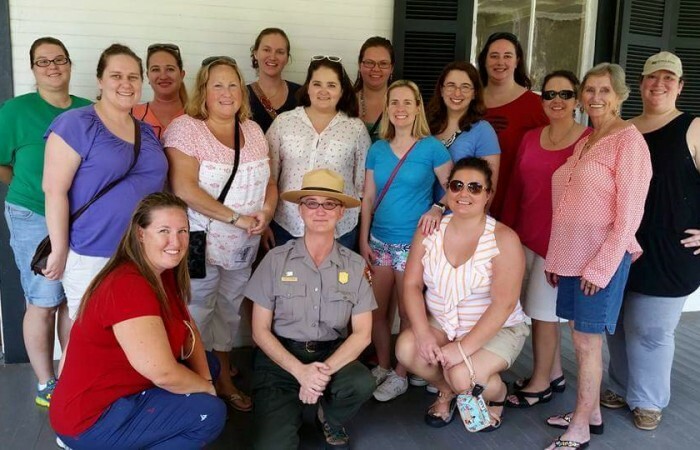 Florida State page retreat at Kingsley Plantation with State Regent, Ginger Poffenberger (2015-2017). 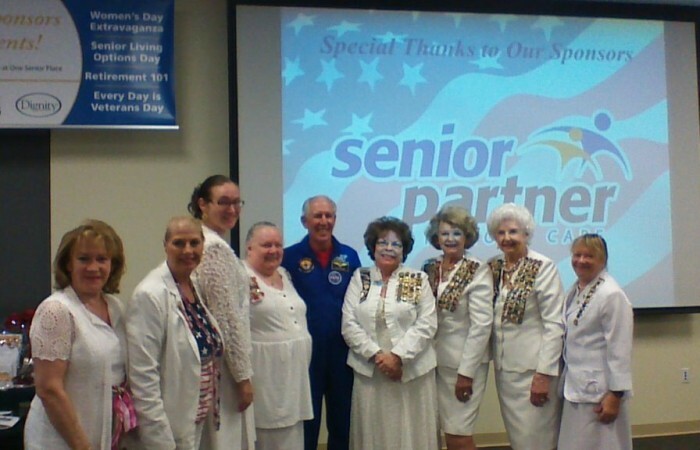 "Every Day is Veterans Day" group photo with Orlando Chapter's All American Singers and veteran and former astronaut, Colonel Robert C. Springer. 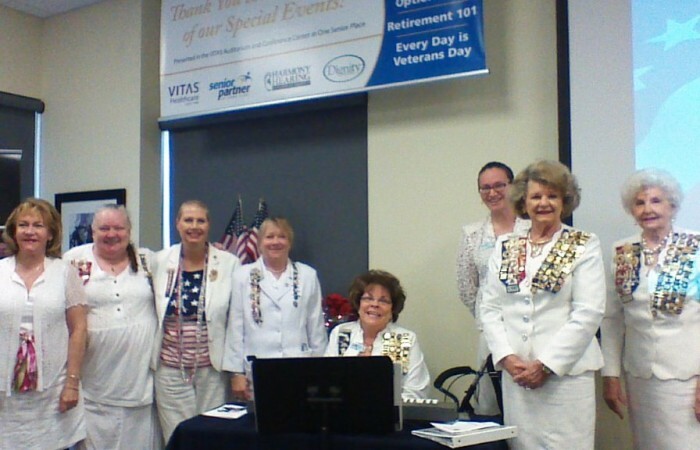 "Every Day is Veterans Day" group photo. 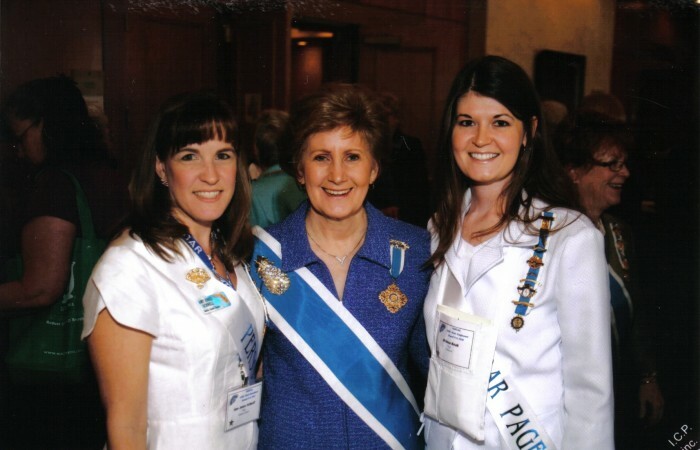 Orlando Chapter page and junior member, Melissa K. (right), with President General Linda Gist Calvin (2007-2010). 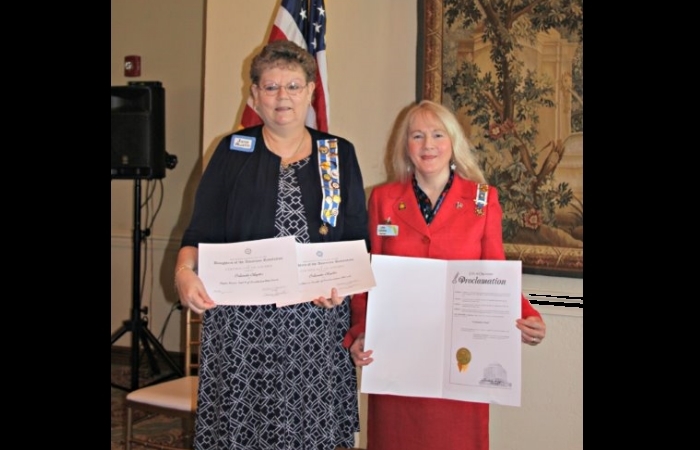 Constitution Week Chairman Janis A. received two FSSDAR awards from Regent Linda Lykkebak (2014-2016) for her work as chairman last year. 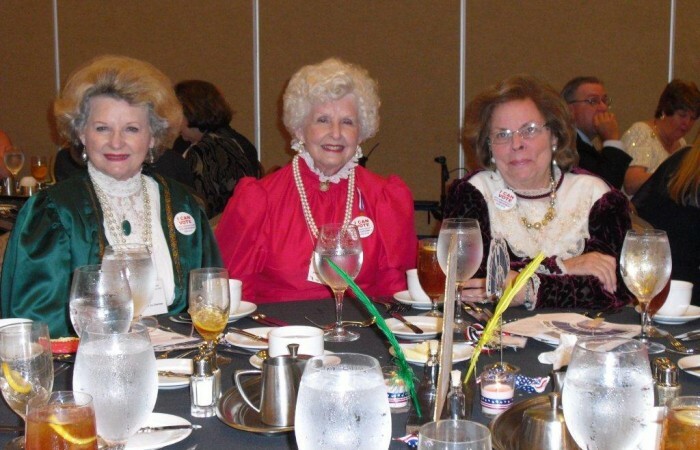 She worked very hard for our chapter, again getting a total of 10 proclamations this year!